AP's Answer For The Future? A new logo! The Associated Press is struggling to find a way to fit into the new world of media, and quite frankly they are making more mistakes than what seems possible. First they wanted people to pay them for linking, and in the process forced Google News to not only pay them, but also host their articles (instead of providing a link directly to them and thus forced people away from them). Then they created archaic social media policies, and recently they have sued, again, to stop the spread of links. But now, after several years of hard work, they have finally found the answer to all their problems. They have redesigned their logo! It is such an important event that, today, their entire website is dedicated to just this one thing. In 2009, AP undertook a strategic initiative to develop a masterbrand strategy that would define what makes us different from other news organizations, serve as a guide for business decisions and clarify the values and traits all AP staff embody. How do we best describe ourselves? As gutsy, resourceful and connected. What do we value? Integrity, action and independence. The AP visual identity system brings these traits and values to life. It allows us to leverage the great work we do by uniting under a comprehensive look and feel, driving competitive advantage and creating a distinct footprint in the media marketplace. They also created a video with the CEO presenting their new logo as the definitive answer. We see this every single time a company is in trouble but have no idea why. Not just with AP, but there are countless of logo changes as a result of the 'headless chicken syndrome'. What happens is that when the market is suddenly ignoring you, these companies forget their heads and run around like headless chickens - until someone comes up with the idea to 'change the visual identity to remind people what we stand for'. And that is exactly what AP did. In 2009, when the internet started to seriously disrupt their business, they "undertook a strategic initiative to develop a masterbrand strategy". I'm sorry AP, but that strategy has proven never to work! The problem for the Associated Press is, of course, that they are no longer needed. They were formed back in the disconnected world, were the primary purpose of newspapers where to be the 'bringer of news'. What happened was that newspapers where being formed all over the US, and every one of them had to be the definite source of news for the local community. This meant that each newspaper had to send out reporters to every major city, not just in the US, but also in the world as a whole. That was hideously expensive and quite impractical to do. But since they where living in the disconnected world, defined by the limitations of geographic boundaries, what choice did they have? A solution had to be found, and the Associated Press was formed. It was a brilliant solution. 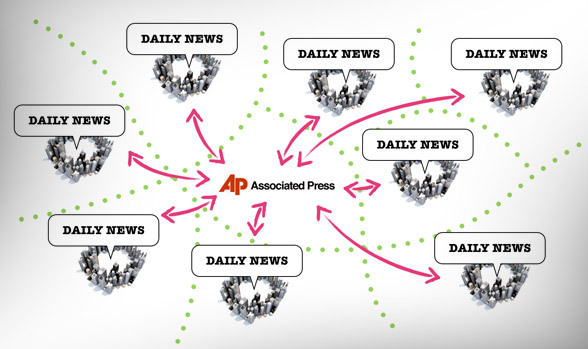 Instead of forcing each individual newspaper to send out their own reporters, they would all use the Associated Press as a central news provider. 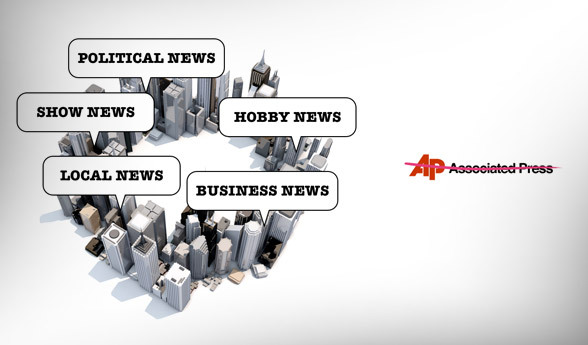 The Associated Press would take news from each newspaper, as well as sending out their own reporter, and the newspapers could use stories from anyone in the network. Do what you do best, outsource the rest! Each newspaper could focus on their own strengths, while at the same time be able to republish the news they needed from elsewhere at a cost-effective price. In the past, the Associated Press was the perfect solution. And it's success-rate and relevance in the disconnected world is at the very top of the scale. In the connected world, however, none of this makes sense. We no longer have geographic boundaries, limits of distribution, or the need to gather news from around the world. What most newspapers haven't learned yet, is that in the connected world, we no longer need newspapers as 'bringers of news' - because we already have it. Do what you do best, link to the rest! Unlike in the past, if you are living in Boston and there is a big fire in Los Angeles, you don't read the Boston Globe, you go directly to the LA Times. The Boston Globe will of course cover the news, like any other newspaper, using articles syndicated via AP. But people don't care. In a connected world we go to the source! We noticed the same with the Arab Uprising in Egypt, Tunisia and Libya. You could read about itin every single newspaper on the planet, but that didn't stop the US public to suddenly demand the Cable TV providers to include Al Jazeera. Yes, you could watch it on CNN too, but Al Jazeera was better because they where closer to the action - that's what we wanted to see. And in a connected world, visiting CNN is just as easy as visiting Al Jazeera. Both are just a link away. The world is no longer separated. Because of the internet, we are now all living in the same city. If something happens, we will read the news source closest to it, and the Associated Press has become obsolete. Newspapers still need to 'do what you do best', but sadly, most have no idea what that is. They still think they have to be the 'bringer of news'. When something happens in one city, every newspaper believe their role is to copy/paste it, because otherwise people won't know. The Associated Press no longer has a future, because it was formed to solve the problem of geographic boundaries. Those boundaries no longer exists, and as such the Associated Press no longer has a purpose to fill. The only way out is to stop being a bringer of news, and instead become the source of news. Meaning that instead of focusing on a business model of republishing news in every local newspaper, they have to be where the reader go to get the news they make - not the newspaper, but the reader. AP should no longer be the bringer of news to others- They should be the source of news. I don't want to see the Associated Press disappear. The journalists working there are doing some of the best news coverage on the planet. The Associated Press could be the best all-purpose newspaper of all, and the local newspapers could focus on what they do best - within their respective niches. But this is unlikely to happen, since AP is owned by the newspapers themselves. AP is forced into the role of being the middleman for a disconnected business strategy. So sadly, the future of AP is to change their logo and sue people when they link to their stories. 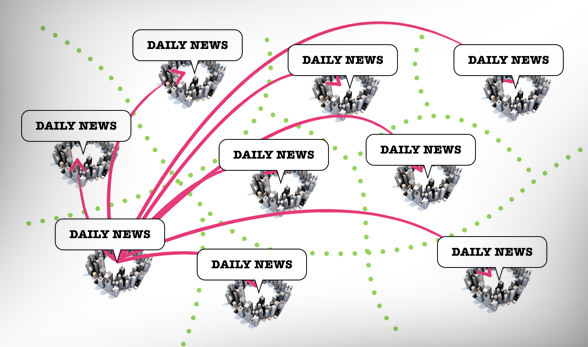 In the next five years, everything we know about newspapers will be transformed. More and more will learn that, in a connected world, you can't be the bringer of news. You have to be the source of news - not the copy machine. The Associated Press is one of the best sources we have, but its entire purpose is to be the copy-machine for others, and that model no longer works. Creating a new logo isn't going to change that.